I’ve always been a fan of vinyl lettering in decorating. It’s a great way to add personal touches to your home. But, I had never thought about taking that vinyl decor outdoors. How, you ask? Simple! By putting the vinyl on your front door! I recently discovered Etsy shop HouseHoldWords and found that they have an incredible selection of decor made for the outdoors. 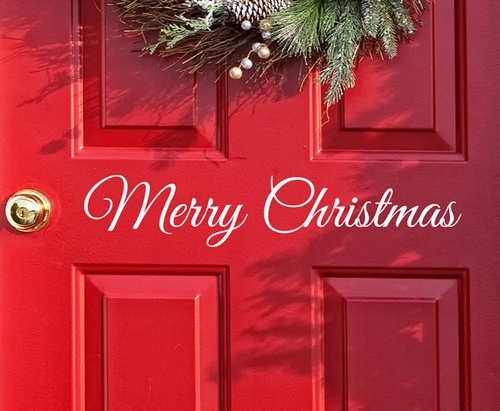 I had never thought of putting my address on the door before, but since I don’t have an actual number sign on my house, I realized that this was a great way of marking our home clearly, in a an unusal way. 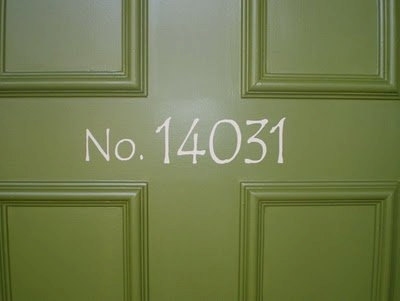 I was sent the vinyl numbers in a cream color to add to my red front door. To apply the lettering is so simple, just follow the directions. Within a couple of minutes, I had just the look I wanted, in the font that I had specifically picked out online. It was such an easy process from start to finish. I love it! The great thing about the vinyl is that it is inexpensive and completely removable, so you can change your decor whenever you would like! I loved my experience with HouseHoldWords and highly recommend ordering from them!